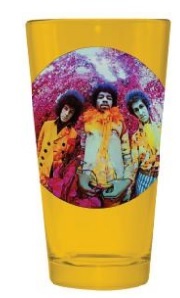 This is a cool translucent yellow pint glass that features imagery from the Are You Experienced? album. Enjoy a frosty cold pint with our officially licensed Jimi Hendrix glassware.